I once took some private lessons with a man by the name of Terry McCombs (1945-2007). 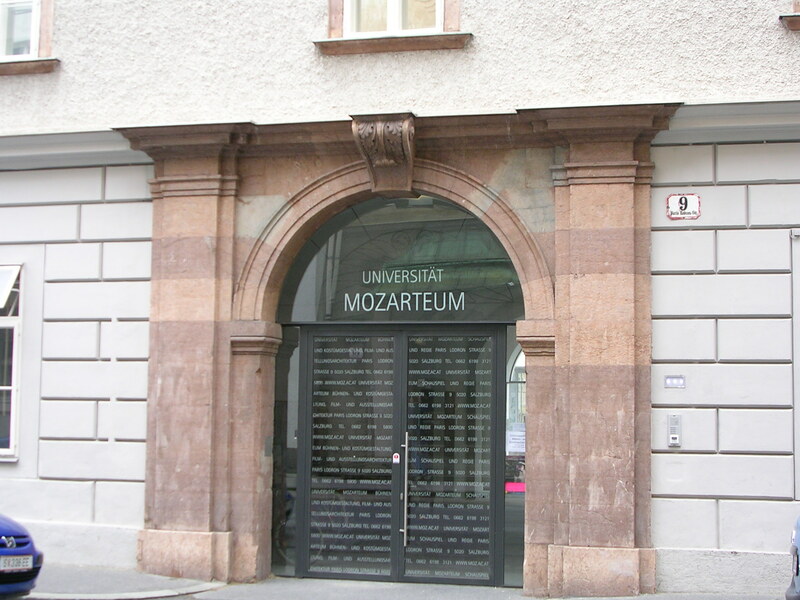 He studied for a time at Universitat Mozarteum in Salzburg, Austria. He showed me a number of photos and told me of his experiences there. I felt and relived many of the experiences he had there. While I was on my mission, he helped prepare an application for me and even had a friend of his come do an interview with me in Manchester, England. In the end, the costs and personal inadequacies lead me to make decisions that took me in other directions away from music altogether. At any rate, when I was in Salzburg, I made a point to stop and visit the Mozarteum. I have thought about the Mozarteum some over the past few weeks and have those “what might have been” thoughts. I don’t know they would have accepted me, and I certainly know it would have been a battle to learn German as well as music. The thought still scares me. But here are the doors which could have been an entirely other world. After spending a day working in our yard, I thought about how little I felt like I really accomplished. I mowed the lawn last night and today sprayed weeds, picked some dandelions, and turned over some soil for Amanda. She planted flowers in the flower beds, jalapenos, peppers, zucchini, tomatoes, and squash. As I puttered around the yard, I thought of how the British call their yard a garden. Our garden is where we grow food, their garden is where they grow flowers, grass, and hedges. Then I thought about how there are people and that is all they do for a living, maintain gardens/yards. In honour of the season, I found some photos of gardens we have been to that seem to be more than just flowerbeds. Sorry, no photo of our yard is included! 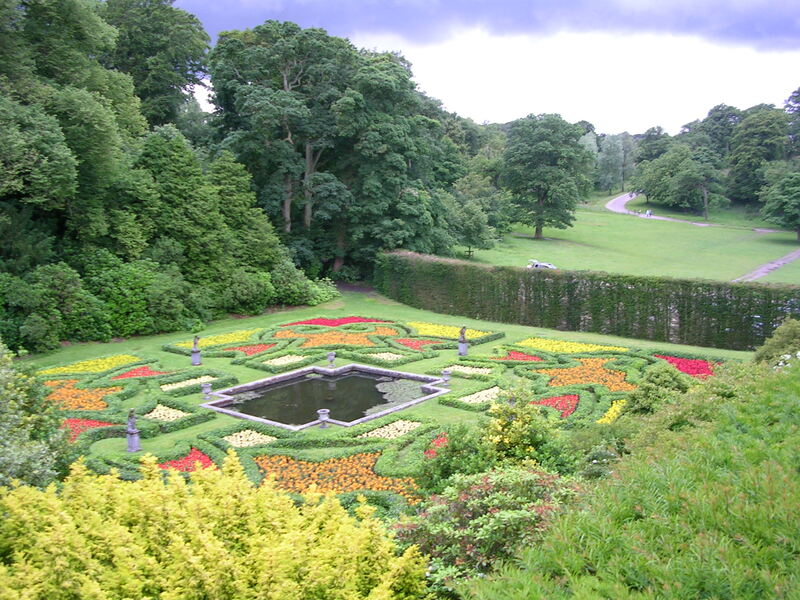 Here is a picture of one of the gardens at Lyme Park in Disley, England. 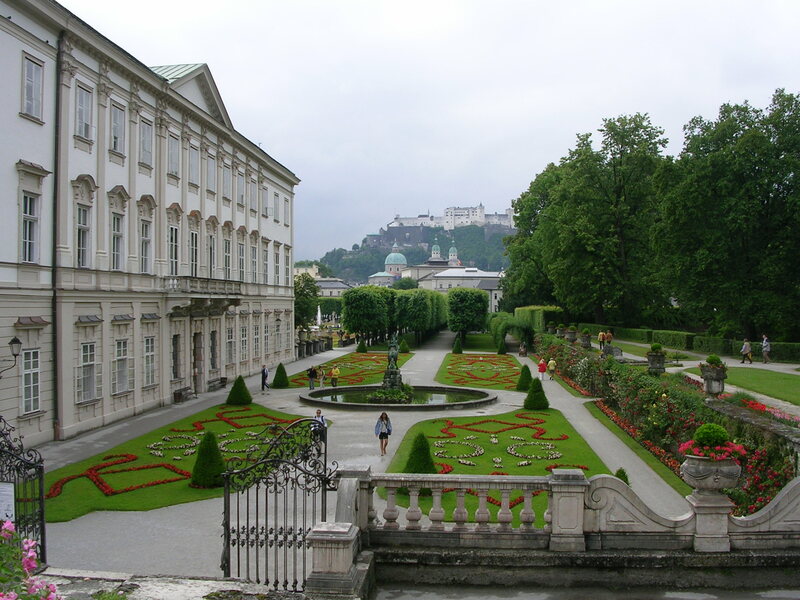 A shot of the gardens at Mirabell Palace in Salzburg, Austria. 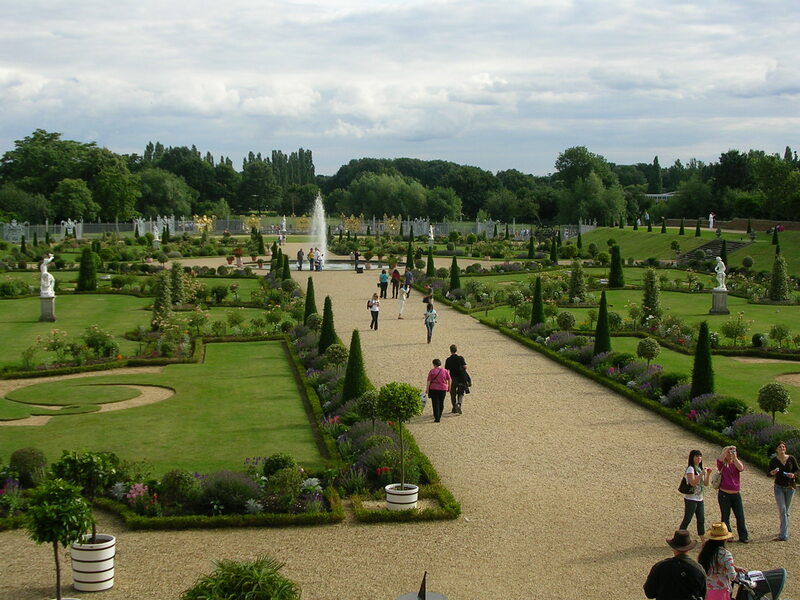 Some of the gardens at Hampton Court Palace in Richmond Upon Thames, England. 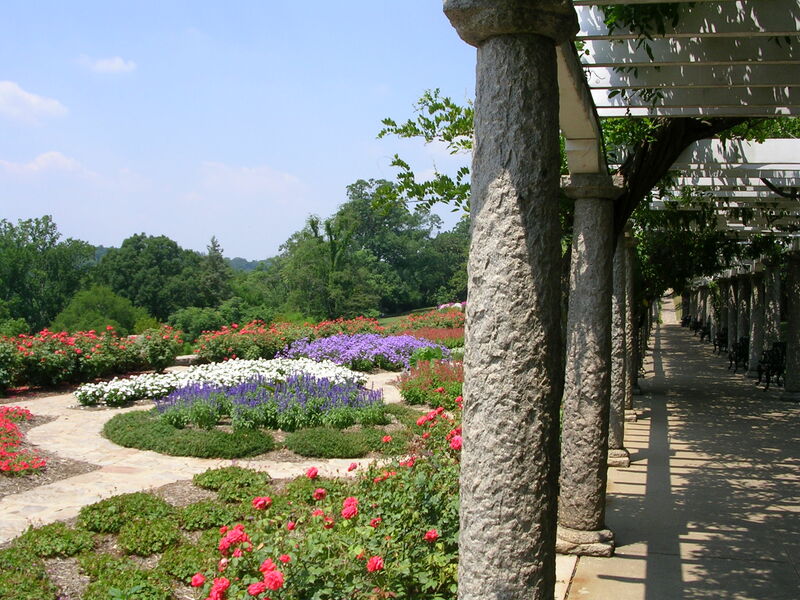 Lastly, a view of one of the less ornate gardens at Maymont in Richmond, Virginia. I sent this one zesterdaz, but it did not go through for some reason. Sorrz. Just a quick update. Internet here costs us roughly $10 an hour, so we are using as little time as possible. We are in Venice. Right on the Mediterranean, we are feeling the heat and humidity. I am loving it, Amanda not so much so. Last night, I had real Italian pizza and Amanda had real Italian pasta. We are living the life of luxury. We are in a nice little flat right off a campo (miniature piazza) and the place buzzes at all times of the day. We arrived safely here from Salzburg. There is not a whole lot to share I think manz would be familiar with. We did get a ride up to the Hohensalzburg, see the big main churches here in Salzburg, and visit the birthplace and home of Mozart. Those were definitelz interesting. This is definitelz the citz of little finds though. From the antique shops to the other little sights, it has been verz interesting. The best part is that our hotel was so close to everzthing and none of the daz was lost to travel. Sadlz, we are headed for an 8 hour train ride to Venice todaz. Well, somebodz is waiting for the computer. Time to head out. A quick update. We are back to the shortened e-mail times. We are writing todaz from Salzburg, Austria. We arrived last night about midnight. Zesterdaz was spent traveling to familz historz sites for mz Wanner and Nuffer familz near Stuttgart. We visited Holzgerlingen and Neuffen, the towns where thez lived in for several centuries. Neuffen was well worth the trip. Holzgerlingen turned out to be a bit of a dissapointment as there wasn’t much of anzthing old left. On Sundaz we went in to Munich and visited the little village of Dachau. There we spent a good portion of the daz in the Dachau Concentration Camp. It was interesting to finallz visit one. Dachau had built the ovens and gas showers for mass use, but fortunatelz thez were never used on a mass scale. Thez were used, but in a limited sense. It was interesting. We maz have a chance to upload photos tonight. Depending on what this computer will allow us to have access to (meaning, will we be able to find the camera or jump drive in order to upload).